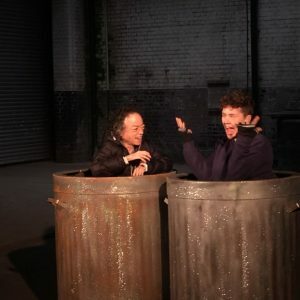 Jess Thom and Charmaine Wombwell star in Touretteshero and Battersea Arts Centre’s co-production of Samuel Beckett’s classic text, Not I, in a show that marks a departure both from some of the strictures of staging Beckett and Touretteshero’s previous Edinburgh Fringe smash. It played Pleasance Courtyard 22-26 August. A stream, no, make that a tidal wave of consciousness is fired frenetically at you from an illuminated mouth, 8 feet from the ground. Lyrical prose barrages like a machine gun, cascading into the audience, punctuated by the word ‘biscuit’ hundreds of times a minute. 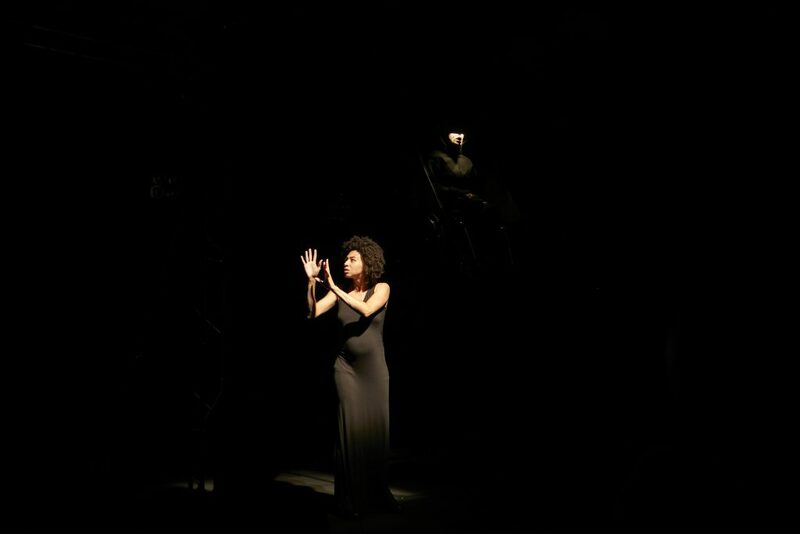 A BSL performer clad in black furiously signs, a whirlwind of gestures and facial expression. Poetic yet manic. Absorbing yet overwhelming. But let’s rewind a few minutes. 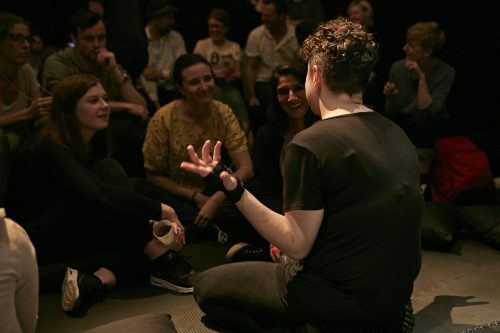 As the crowd filters into a dimly-lit space, bedecked in benches and cushions, some already sprawled on the floor, Jess Thom sits centre stage ticcing away and welcoming people in. Two things are immediately apparent. Firstly, access has been given deep and considered thought from the start of this production. Like all Touretteshero shows, this is a relaxed performance – the audience are free to make noise, and move around. Although few noticeably exercise this right, the whole vibe feels, well – relaxed. It’s not like the majority of theatre atmospheres, which often feel a little stuffy and uncomfortable. Jess describes herself, physically, and then carefully explains how the next hour will be spent. This is the best kind of access. I personally wouldn’t require this approach, yet I feel it enhances my experience. As audience, we feel instantly at ease. The second thing that is clear is that Jess Thom is a performer completely at home in her own skin. For someone who openly acknowledges that there are sides of herself she previously spent years distancing herself from, this is significant. As she introduces the show, Jess is magnetic. She is hilarious. She has the audience rapt. I could watch her read out terms and conditions and be enthralled. When the performance starts in earnest, it is completely bewildering. Minutes pass before I can even get a handle on what is being said, or what is going on, so relentless is the pacing and vociferous its delivery. With the lights out, save for the illuminated mouth and interpreter, there is an absurd juxtaposition of sensory deprivation and overload. Not I tells the story of Mouth, a woman who is seemingly mute most of the time, save for random outbursts of garbled speech, which this monologue could well be an example of. It recounts events from her life of abuse and alienation through repeated refrains. What this production does is cast Mouth as a disabled character, shunned, cast aside and violently oppressed by her community. This gives the whole show an eerily prescient feeling. Having Charmaine Wombwell play Mouth using sign language also adds an extra layer of depth; reimagining this classic character from literature and questioning preconceptions of language. It’s heartening that the Beckett Estate, usually so strict in the restaging of plays, were willing to adapt, to become more accessible. It also marks a significant departure for Thom. Proper artists take risks. 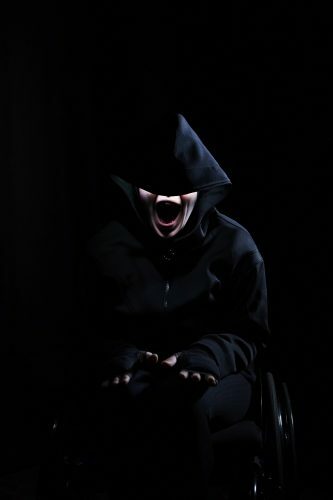 The joy of Touretteshero’s last major production, Backstage in Biscuitland, which took the Fringe, then the world, by storm, was Thom’s ‘neurological incapability’ of staying on script. The fiendishly funny off-the-cuff moments and memorable turns of phrase blurted out as tics, then riffed on, which made each performance truly unique. Based on that, this production could be labelled ‘Not Jess’. Thom stayed pretty much on-script throughout, apart from the biscuits, which no doubt added something to the quickfire nature of this truly virtuosic performance. It did leave me longing for a bit more of the scintillating creative brilliance, and laugh-out-loud humour of Touretteshero, which was confined to brief snatches bookending the Beckett. It would have been exciting − if anathema to Beckett purists (and practically infeasible) − to see these two forms of absurdist theatre more creatively intertwined and mashed together. But Thom has earned the right to do something different. Why shouldn’t this fiercely creative theatre-maker try something new? The strong contextualisation and political statement about the status of disabled people remains, as does the access-informed approach. And perhaps that’s the real Touretteshero trademark. 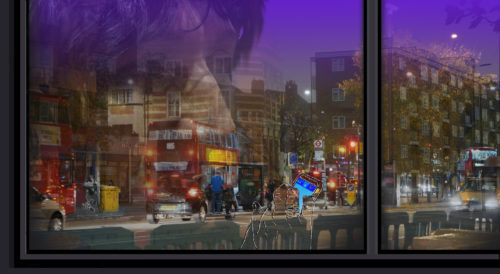 Not I performed by Touretteshero runs at Battersea Arts Centre from 28th February – March 17th 2018.